Inspired by a delicious appetizer made by Nancy Silverton at Pizzeria Mozza we decided to make our own yogurt cheese. Note: the cheese has to be made a night in advance. 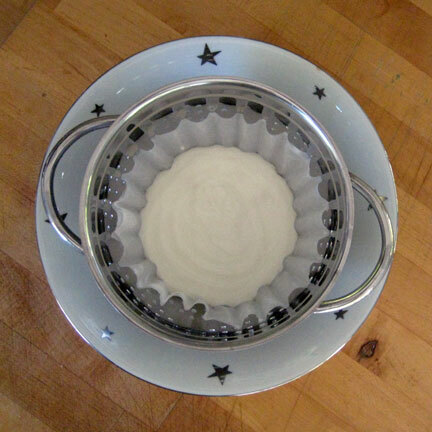 1 Place a coffee filter in a small colander and rest over a bowl. Add plain yogurt and let it drain overnight in the refrigerator. The yogurt becomes a thick rich creamy ‘cheese’. 2. Finely slice up English peas in their shells. If you can’t find peas in the pods then snow peas work just as well. 3. Mix sliced peas with a little red onion and mint. Dress with lemon juice, olive oil, salt and pepper. 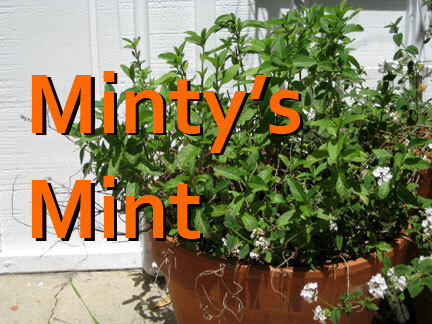 Top the peas with a generous dollop of yogurt cheese and a mint leaf or two. You can also enjoy this cheese as a healthy alternative to whipped cream on top of fresh fruit.